So with MIXTAPE hitting stores in a couple weeks, the media I’ve been doing is starting to appear across the world wide web. I’ll cross-post them as they come out. The most recent was an interview I did with Word Balloons about the origins of the book. Of course, the actual interview ran longer, and as it was by email, I have the text of that longer piece here, which I’m putting below, as there’s a lot more to the story than you’ll glean from that interview. Thanks to Matthew Price for taking the time to talk about Mixtape. How did you get started with “Mixtape”? The origins of Mixtape date back to three years ago when I was moving to New York City. I was in the basement of my house, sorting through old boxes of stuff dating back to high school and college – some of which hadn’t been opened since then. During this archaeological expedition I found, among other things, my old portable stereo, boxes of music magazines – Rolling Stone and SPIN — and many, many mixtapes. I listened to these mixtapes, and the experience was one I’ll never forget; these were songs I hadn’t heard in a good 15 years, and these were tapes I made, or ones made by friends for me. Hearing them after all those years was like travelling back in time, and unleashed a flood of memories I’d totally forgotten. Anyway I moved, and got settled, and time passed, but I found I was thinking more and more about those mixtapes, and that era, and decided I wanted to write a project about music at that time in your life when music and your friends are the most important they will ever be. I had the characters and the general story; I just couldn’t figure out how I was going to tell it. I’d done movies, I’d done TV, and they seemed to be no-brainers for something like this, but the more I thought about it, a comic book made the most sense. Creatively there’s something about a comic book no other medium can touch. 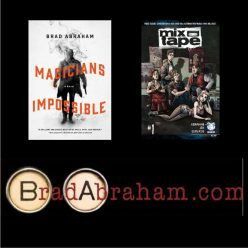 Your mind is filling in everything – voice, sound effects, even music; comics are an analog experience, like a mixtape, and, I find, a more intimate form of entertainment than movies or TV. But mostly because I’ve been reading comics my whole life and had always wanted to write them — I was just stuck for an idea; Mixtape became that idea. What about the early 1990s era made you want to revisit it in comic-book format? Culturally the early 1990s saw something you really hadn’t seen before – where the underground took over the mainstream. Bands like Nirvana and Smashing Pumpkins and R.E.M. and Sonic Youth and dozens more came crawling out of the woodwork, and you realized, “hey, I love this music, and I’m not the only one”. To a teenager it felt like the inmates were taking over the asylum. Of course, the scene imploded, the mainstream wrestled control back, and we ended the decade with N’Sync, The Backstreet Boys and Britney Spears. But for a time – 3 to 4 years – the underground became the mainstream, and that excitement, that energy was something I really wanted to capture. The period also had an actual dramatic arc — you could see things building to a head then it imploded and the status quo returned. But mostly I wanted to tell the story of this period in music and culture through the experiences of these five friends – each of whom represents a certain sub-genre of music. Lorelei is a devotee of bands like The Smiths and The Cure. Noel is into Beastie Boys and U2. Jim lives and dies by The Pixies (as we see in Mixtape #1). Siobhan is back from a year in Europe when we meet her, so she’s into bands like The Jesus and Mary Chain and The Stone Roses. Terry is the guy into bands you haven’t heard of, yet, and when you do hear about them, he’ll accuse them of being sellouts. Tell me about the artists working on the project. Jok and Gervasio were suggested to me [by Space Goat Productions – who represent international artists] as having a style that would mesh well with the Mixtape story. They’re based in Buenos Aires, so naturally I was a little skeptical — so much of Mixtape is rooted in a specific era (North America in the early 1990s) that I was unsure whether two guys in Argentina would “get it”. But those concerns were dashed the moment I saw the art; now I can’t envision Mixtape without them. Working with them has made writing Mixtape a lot easier; that they get what the book is about; they’ve made my job ridiculously easy. What techniques are you using to convey the feeling of music in comic-book format? When I told people about the book they all said “you can’t do comic book about music”, which just made me want to do it more; to prove them wrong. The reason there haven’t been a lot of books about music is because it’s near impossible to convey the sound of a song. But, with the characters name-dropping songs and bands, and wearing Ramones T-shirts, and the presence of albums and posters, I think the sound of the era is represented visually. We’re helped by the fact that the songs and bands referenced are actual songs and actual bands. But the best technique for conveying this has been Jok and Gervasio’s art. When they were asking what style I envisioned, I probably said something pretentious like “I want it to look like ‘Nevermind’ sounds”, and they delivered it – thick lines, dark shadows, like something you’d find in a DIY band poster or ‘Zine – that Kinko’s-Xeroxed aesthetic. The cover is an homage to The Breakfast Club — was that an inspiration for the book? What other movies or books were inspirational? The Breakfast Club thing happened by accident, when a friend pointed out that the five characters could almost be a “Grunge Era Breakfast Club”. You have Jim the rebel, Terry the geek, Noel the prep, Lorelei the art chick and Siobhan the teen queen – they’re the five main archetypes you generally see in a story about teenagers. Once I realized that they were almost Breakfast Club- like, I decided to play that connection up on the cover for the first issue, because that form of storytelling in Breakfast Club informed much of what Mixtape is. Mixtape isn’t about “the big moments” but more about what happens after those moments. In Breakfast Club we don’t see the circumstances that land the kids in detention but it’s revealed over the course of them discovering that, despite their different social strata, they have more in common than not. Mixtape is more about what happens after the cops arrive to bust up the party. That was actually the original draft of the first issue — post-party fallout, but on reflection it didn;t work as far as setting up the characters and the world they inhabit, or set up the overall arc of the series. That story’s in the drawer for now and may make an appearance down the road. As far as what inspired Mixtape, mostly it was comic-book related; Blankets, Local, Black Hole, Too Cool To Be Forgotten, The Waiting Place — the Optic Nerve series by Adrian Tomine, and his collection Sleepwalk was a big influence. But the biggest influence was personal – much of Mixtape is based on people I knew and places I lived back in the 90s, so it’s something of a “fictionalized autobiography” if that makes sense. Not that the stories are true and the characters are real, but in the sense that everybody knew people like the characters, and everybody can identify with them. It draws from movies like American Graffiti, Dazed and Confused and Singles, but it’s very much a comic book inspired by other comic books. Mixtapes were an important part of a lot of friendships and relationships in a certain era. Did you share a lot of mixtapes, and if so, how was it important to you? Back before file-sharing and the internet, the only way to hear new, edgy bands was through mixtapes, made by friends, or friends of friends. Yes, you had MTV, yes you had radio, but they played mainstream music. Bands like The Replacements or Joy Division were bands you heard about, rather than heard. But if a friend put that music on a mixtape you were hearing it! A mixtape also communicated your likes and loves; if you started dating someone (or were trying to impress them), you made them a tape. They were important because they were a way of saying to others (and having them say to you) that you weren’t alone, that other people were into the same things you were – something that was and is very important to a teenager. They were labor intensive too – now you can throw a playlist together in iTunes in a matter of minutes. A mixtape took hours to make, because you had to do everything manually. You had to pick the songs, figure out the order, and make sure your side breaks were accounted for. As a result you took more care and put more thought into selecting what songs you wanted on that cassette. 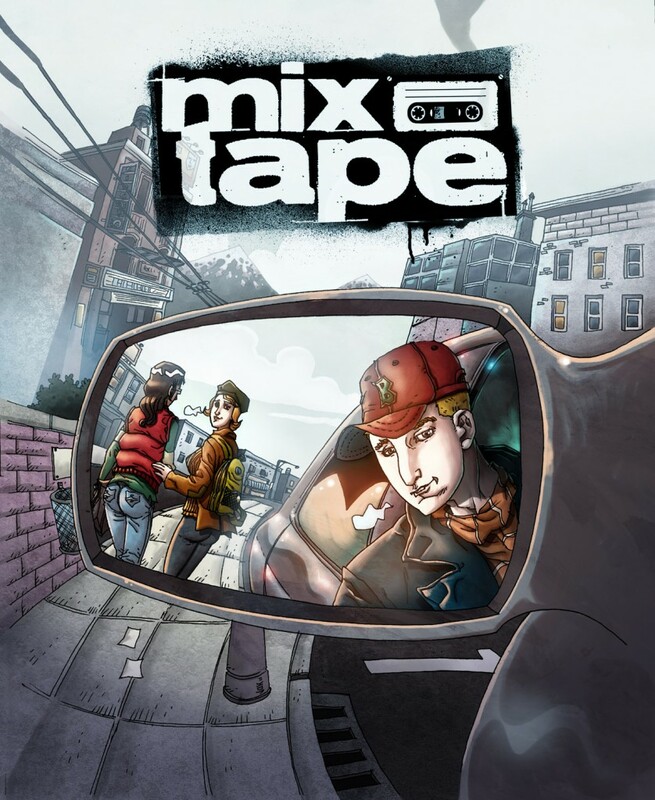 Each issue of Mixtape has a mixtape, actually – and it will be published on the FB page (www.facebook.com/MixtapeComic) as each issue hits stores. We’ve also created a YouTube channel http://www.youtube.com/user/MixtapeComic?feature=mhee where you’ll be able to listen and watch the videos from those songs. What was the best mixtape you ever received? The best mixtape I ever received wasn’t even technically a mixtape, but one I discovered when I was packing to move in 2008. It was a copy of an album a friend made for me, but at the end of the album she had all this extra space left over on the tape. What I didn’t realize until 2008 was she’d filled that extra space with a selection of maybe eight other songs. I heard those songs for the first time about 16 years after she’d laid them down – it was like getting a radio transmission from 1992. That so many years could have passed, that you could lose touch with a person, and with hearing just one song, all those memories come flooding back demonstrated the power of music, and how the memories associated with that music can be unlocked by something as simple as a song recorded onto tape. That it was like a message two seventeen year olds shared, seventeen years apart. Even that message had been lost for so many years it came through loud and clear, and Mixtape – the comic – is what resulted.